Want to know how to configure your virtual storage up to your particular needs and requirements? We’ve got some new tricks for that outlined in our tap room meeting. In this session we also discuss RAIDs and their main use cases. We know just the pain in the neck the admins experience when trying to deploy a software-defined storage solution. Complexity, hardware and software lock-in, related costly licensing – and that’s just briefly. 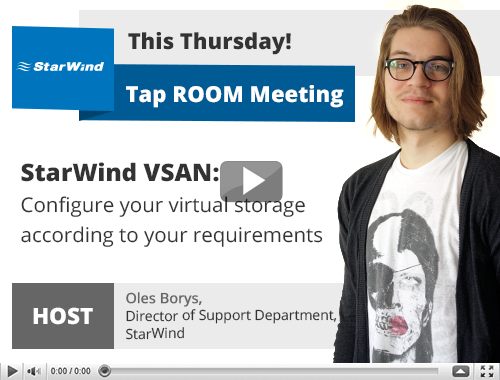 StarWind Virtual SAN is extremely easily deployed and has less requirements as compared to similar solutions. In general, it demands less hardware and accepts commodity components, which you can buy in any PC store. Also, it works with many hypervisors.